With conflicting nutrition studies appearing daily in the news, it’s easy to say “eating healthy is really difficult or too confusing”. But, it really shouldn’t be. While people may argue over butter or margarine or corn VS olive oil, some things in nutrition have not changed that much over the years. It is unlikely that scientists would all of a sudden suggest eating “less vegetables”. What’s important to recognize is that no matter what the latest nutrition research says, balance and variety never go out of style. lf you want to make following the US Dietary Guidelines easier, why not try using a plate for a road map? 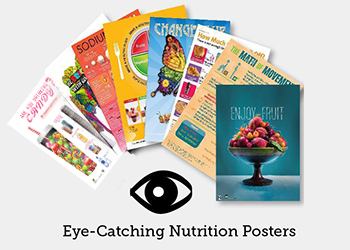 MyPlate was introduced with the 2005 Dietary Guidelines and with good reason. The plate provides a more realistic representation of what we should actually be adding to it. The food groups on the plate ensure you’re getting a balance of all the nutrients you need in your diet. For example, when you consume whole grains, you’ll obtain B vitamins, fiber, vitamin E and zinc. Fruits and vegetables provide vitamins A and C, potassium, fiber and phytochemicals, which help prevent cancer and heart disease. Dairy products give us adequate protein, calcium, B vitamins and fat-soluble vitamins A and D. Eating lean protein sources ensures adequate protein, iron, zinc and B vitamins in your diet. 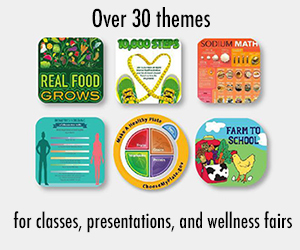 There are multiple versions of a healthy plate from the Nutrition Education Store including a Diabetes plate, Portion Control Plate, MyPlate, and MyPlate Kids Plate. The Diabetes Plate may help people with diabetes or prediabetes balance their carbohydrate intake without feeling like they have to measure every little morsel. The Diabetes Plate suggests to fill half the plate with low carb veggies (read salad, broccoli or anything leafy), a quarter of it with a grain (potato, rice, pasta) or starchy vegetable (like peas or lima beans) and the last portion for protein. This helps to keep carb intake to roughly 45 grams per meal by encouraging non-starchy vegetables and smaller servings of starch. 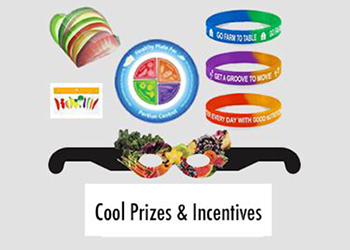 It also provides an encouraging message to exercise at least 30 minutes every day for blood sugar management and to choose low fat dairy products and moderate servings of fruit. The Portion Control Plate makes it easy for someone that wants to limit their serving sizes by providing a colorful, visual guide to appropriate serving sizes. There is also an inspirational message on the rim to balance calorie intake with regular physical activity. 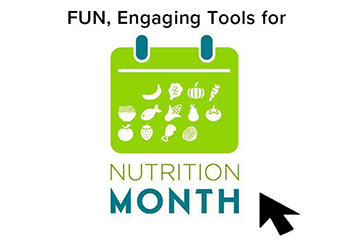 Just fill in the sections with your favorite foods from each food group. Another useful plate to make mealtimes easier is the Kids Plate. This sectioned plate prevents parents from overfeeding their child and provides a guide for the perfect sized portions for kids. The Kids Plate can also be used for seniors or anyone else with smaller appetites or limiting serving sizes. 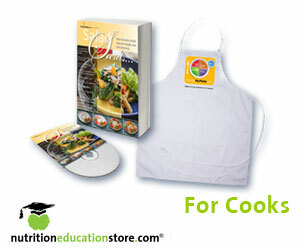 The sectioned plate can be filled easily with each food group to prevent overeating. 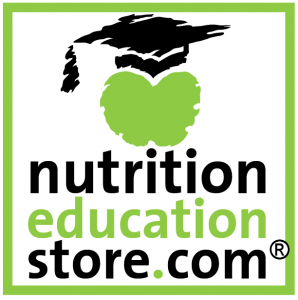 All plates are made from durable plastic and can be purchased at the Nutrition Education Store.